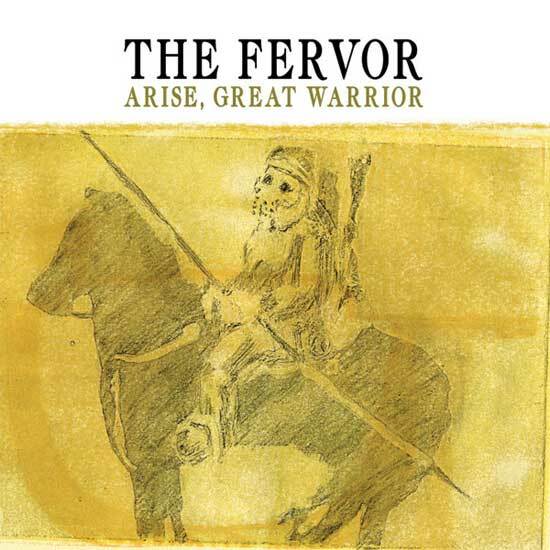 Wow, has it been a year already since we reviewed The Fervor‘s Arise, Great Warrior ? Well, it’s been a little more, but we certainly enjoyed the album (link!). 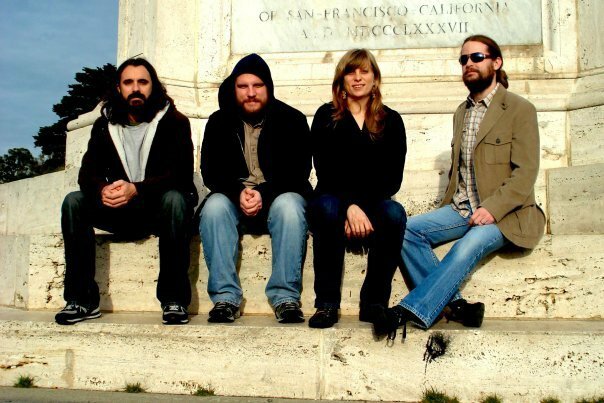 What’s a website to do but manage to squeeze in their very busy days (they’ve been playing a lot of shows) and managed to get an interview via email with Ben Felker, who handles guitar and some additional voice duties. He also impersonates Warren Beatty. But I’m getting ahead of myself. We’re a rock band out of Louisville, KY that’s fronted by a woman and backed by guys. We’re probably all part of the last generation to really believe in album rock. Whether we were born too late or too soon is up for the listener to decide. 2) This is a boring one, but we believe all bands should have their say: what are your influences? A fair amount of the influences for this record came from bands that we have contact with. Arise, Great Warrior was co-produced by Charles Gonzalez, who’s own work displays some of the most beautiful and heartfelt melodies ever to be put out into the world. We’ve done a fair amount of touring with the band Wussy, and being witness to the magic and charisma of their live set certainly raised the bar for us. Similarly we all took note when Louisville‘s own Wax Fang set their big, hairy balls on the scale to be weighed in. We’ve also had the pleasure of working with Yim Yames‘ Removador label on this release, and we’ve looked to his band, My Morning Jacket to show us that normal people can write the kind of anthems that fill stadiums if they are willing to work hard enough. 3) Interesting album cover for Arise, Great Warrior. What’s the story behind it? That cover is a print that was done by our friend Carolyn Kimball, an amazing artist who currently resides in Austin, TX. We saw it as part of a collection she exhibited at a show here in Louisville, and knew that we wanted to use her work for an album cover. 4) It seems that 2011 has treated you quite well. What were your high & low points of the year? Just seeing the record get released was a real high for us. This was an album 2 years in the making so it felt great for it to see the light of day. Our trip to 2011’s SXSW was another great experience. Also getting the acknowledgement of some press was nice. We felt like we’d finally started to work our way in to the big show. I guess the biggest lows we’re financial. Though we are happy with our recording and our live performances than we’ve ever been in the past, I will say that we are still at a point where finances are a struggle. In particular we did one tour that, for a number of reasons, really could have broken us. 5) Were you expecting the reception that Arise, Great Warrior got? I don’t know that we were really expecting any reception at all. We did feel that we’d made a record that better represented us as a band than any of our past recordings, and we were happy with the way things sounded. In some ways we’re kind of a tough band to pin down, and it seems that some of the press the album has received has really understood where we are coming from and what we are trying to achieve. When you put out an album of 6 and 7 minute long songs, and you aren’t a jam band, you’re kind of asking a lot of listeners and reviewers, especially in a climate as saturated with bands as the music industry is at this time. I feel really grateful and flattered that some people have taken the time to understand what we’re about, and seem to appreciate what we do. We aren’t a particularly visual band, so we wanted to work with people who could bring their own ideas to the table for our video. We found that in Scott Carney (who also fronts the band Wax Fang) and Ryan Daily, who directed the video. The one thing we did know is that we were not interested in putting out a performance video at all. Scott and Ryan came to us with a really fun narrative that had Natalie (vocals) and myself as a Bonnie and Clyde type duo being pursued by Mat (drums) and Michael (bass, guitar) as bounty hunters. We were able to shoot most everything in the town of New Albany, IN which is just across the river from Louisville, and has a really classic Americana vibe to it. Really the whole thing was a blast for us. Hopefully you can tell how much fun we had making it when you watch it. 7) Congratulations on getting ‘Crazy for the feeling’ included in the soundtrack for Locked in a Garage Band. How did this happen? What’s the film about? Any plans for more film soundtracks? Believe it or not we landed that through a free submission on the Sonicbids website. Actually ‘Crazy’ wasn’t even the song we submitted, but the woman who put together the soundtrack scoured the entire catalogue of bands she thought might be appropriate. The film is basically the store of a new high school graduate who locks his band in their garage in an attempt to keep them from breaking up. It sounds like it should be a lot of fun in the same way that the brat pack movies of the 80’s were. We’re definitely interested in pursuing more work with films. Indie directors should definitely hit us up. 8) I wouldn’t be a proper fan if I didn’t ask about a song in particular, so here it goes: What is ‘Bird on the bridge’ about? I absolutely like that track, the mental imagery is rich! Well, Natalie wrote that song so I can’t speak to it directly. However, I would like to believe that it questions the ability of humans to sin in the eyes of god. 8) What’s life like in Louisville? If you can’t make it in Louisville, you can’t make it anywhere. 9) It’s a real shame about Ear X-tacy going under. Do you think physical media will be relegated to a niche market or will it come back, full force, in the future? Like I said I am from that generation that came up in the heyday of album rock, and that very much informed my impressions of how a band should operate. That said, I do believe that wave has crested. Rock started off with the single and that seems to be what we’re going back to. I personally like to see my work released on 12 inches of vinyl. That will probably always be a niche, but that’s alright. It’s not necessary for the whole world to be your customer. Bands survive and even thrive in their own niches. I think bands should focus on the quality of what they produce. If you do that there will be an audience for it. 10) Looking back, which song from Arise, Great Warrior still resonates with you? I really like the track ‘Lead Me’. I just feel like we’re all in the pocket on that song, playing to serve the greater good. 11) What are the plans for the year? Another EP or single? Tour, maybe? We’ve got 3 singles for our back catalog that will see release very soon. ‘No Apology,’ which was a staple from our live set and was originally released only on a split seven inch with Wussy, and ‘Yellowood’ and ‘Same State’ which we’d originally released as part of the Louisville is for Lovers compilation. We’re also about halfway through writing and demoing our next full-length. In contrast to Arise, which was full of epic tunes with long playing times, this album is an experiment in our ability to work within the pop format. A few of the tunes currently clock in under 3 minutes. As far as touring goes, our intention is to go where we are wanted. We’ve spent years going at it renegade style, and frankly we just can’t afford to do that any more. 12) Let’s say an alien invading force lands in Louisville and you are the first people near them. After using your dashing diplomatic skills (soothing them with music), you manage to convince them to go away. Which song do you play to them? This is supposed to be a bad song right? Man, I’m too much of a sucker for almost everything. How about some Christmas music that’s been autotuned to death? Doesn’t really matter which song. Eternal thanks to Mat Herron (Karate Body Records) and Ben Felker for this interview. The Fervor Website. Facebook. Last.fm. Myspace. Twitter. Posted in Americana, Interview, InterviewsTagged Arise Great Warrior, Karate Body Records, Louisville, The FervorBookmark the permalink.